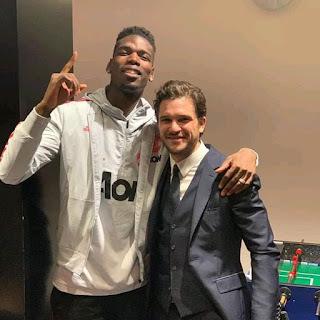 France international star player "Paul Pogba" says that Ole Gunnar Solskjaer, has been fresh after signing a three-year contract at Manchester United, and has returned the “freedom” to the club lost during the reign of previous managers. Having seen their interim coach deliver an upturn in fortune after being appointed as successor to Jose Mourinho, the Red Devils have handed the permanent position to the Norwegian. Paul Pogba is in little doubt that he is the right man for the job, with the World Cup winner having enjoyed a boost to his own game since being released from the prisons of Jose Mourinho’s regime. “It's been very good. Results have been very good. We have a coach that value us, a really happy coach. He's given confidence back to the players. “The first day he arrived he just told us to enjoy playing football again. .When you don't enjoy playing, there is no point playing. When you stop loving what you do, there is no point in doing it. Let's just get back to basics and enjoy. Enjoy playing together, enjoy attacking, enjoy playing together and then that's it.